The intoxicating scent and vibrant colors of hyanciths make them a favorite spring-flowering bulb. Favored for their intense colors and heady fragrance, hyacinths are a staple of the spring garden along with daffodils and tulips. The plants' stately appearance makes them prized in formal bulb plantings. Flower colors include rich magenta and deep indigo as well as paler pinks, baby blues, yellows and white. The bulbs are also easy to force into bloom indoors. Keep hyacinths watered during dry spells in the fall. After plants are finished flowering in spring, cut back flower stalks but allow the leaves to die back naturally, hiding the unsightly foliage with annual or perennial plantings. An annual application of compost should provide adequate nutrients. 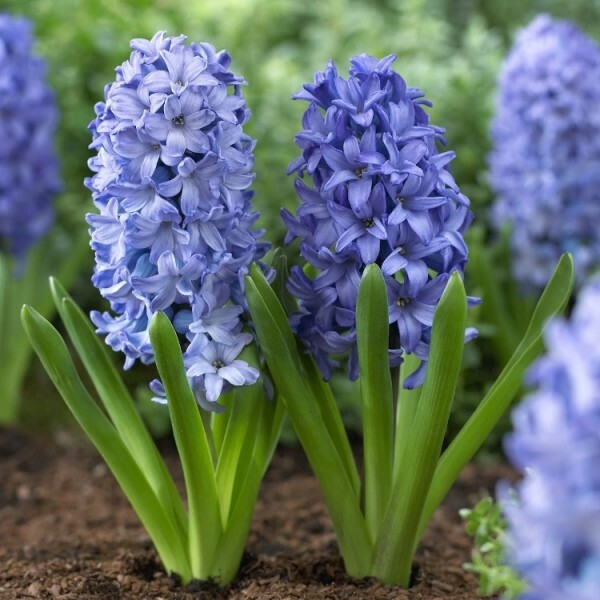 Flower size may decline in subsequent years, so some gardeners treat hyacinths as annuals and plant fresh bulbs each fall.